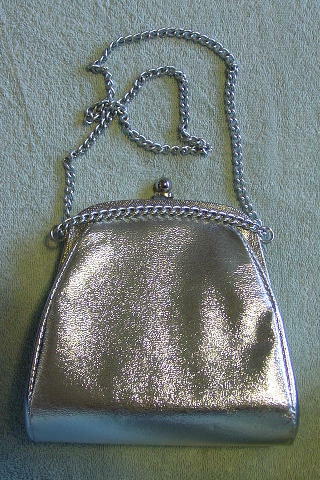 This silver lame evening purse has a top opening with a ball-shaped silver-tone closure. 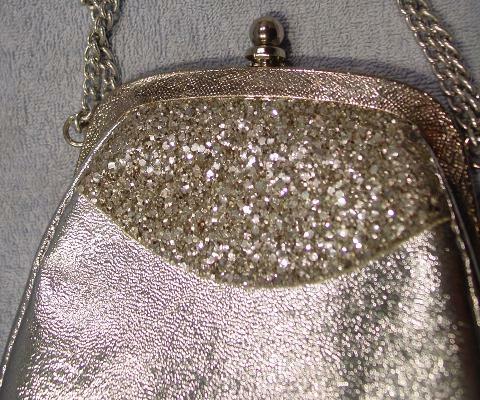 The upper front side has a silver-tone glitter accent area. 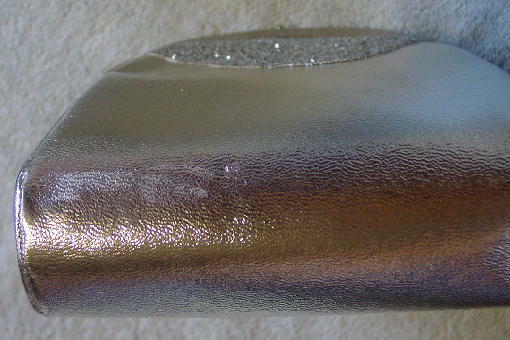 The silver-tone rim opening has a tiny freeform design pattern. 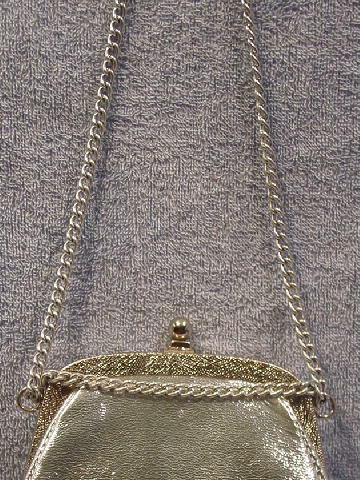 The sides of the back rim opening each have a silver-tone ring on which the silver-tone link handle is attached. The interior is a black plastic. The front left bottom has some light areas which are not visible in all lights. 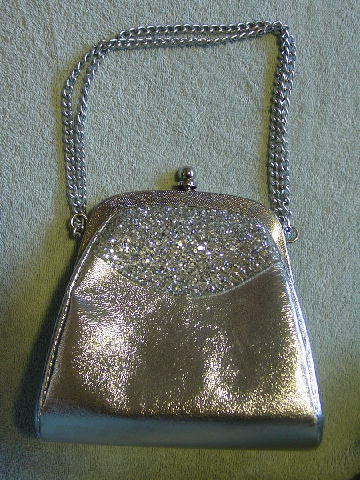 It's from a stylist's inventory, and was used once, as a prop in a movie. She said the light areas were there when she bought it new.